The home is welcoming, bright and efficient. 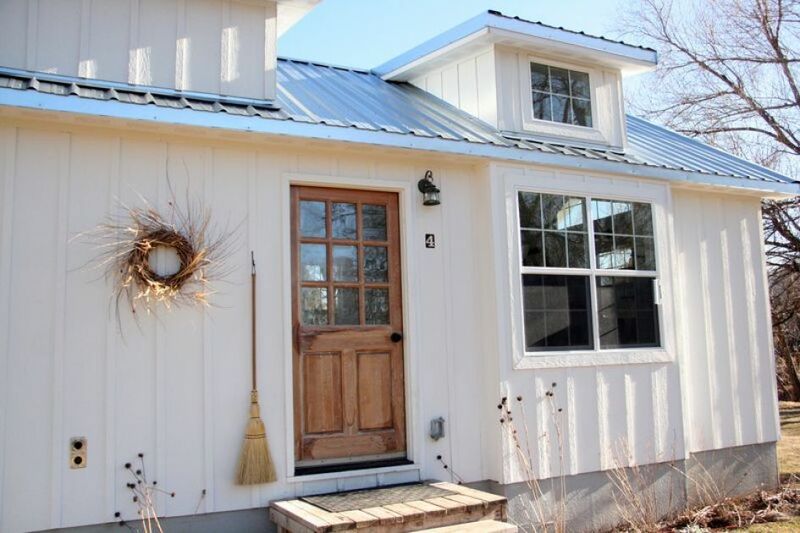 Budget design choices and DIY projects were used throughout the design process. The first floor consists of an open layout that combines the dining, living and kitchen areas. A hallway leads to a bathroom and master bedroom. Upstairs is a loft that functions as the shared bedroom of the three boys. Let's take a peek! The entry door is an old door found at a salvage store. 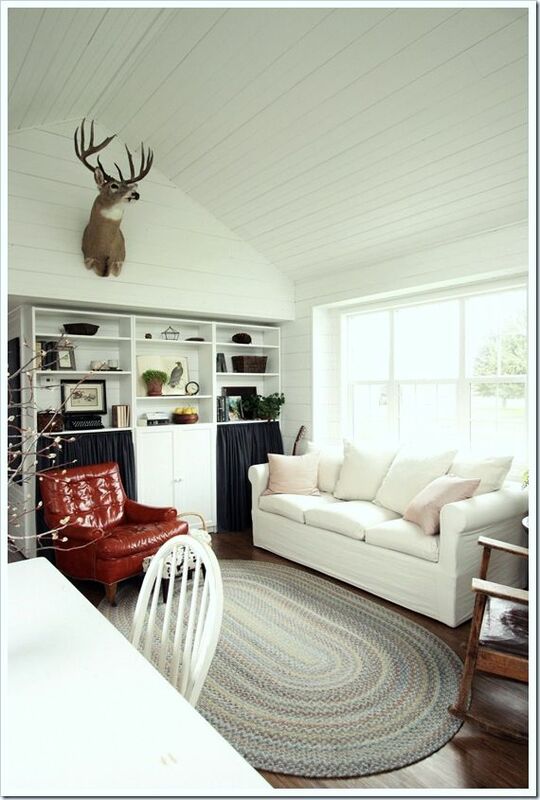 It adds character and warmth to the space, and its windows let light shine in. 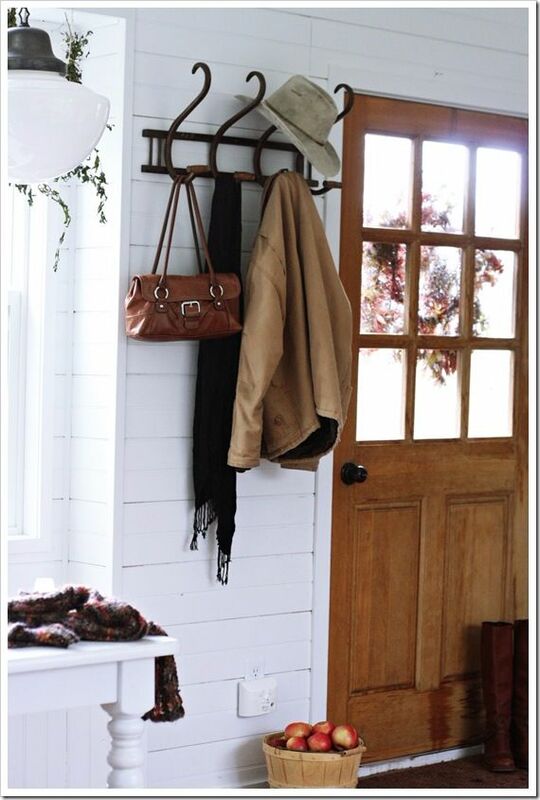 The antique bent-wood coat rack is a functional and stylish choice. The open floor plan and vaulted ceilings help the great room feel spacious. The kitchen has open shelving made from barn wood. The living room includes floor-to-ceiling bookshelves for much-needed storage. Behind the black curtains is the family's pantry supplies. 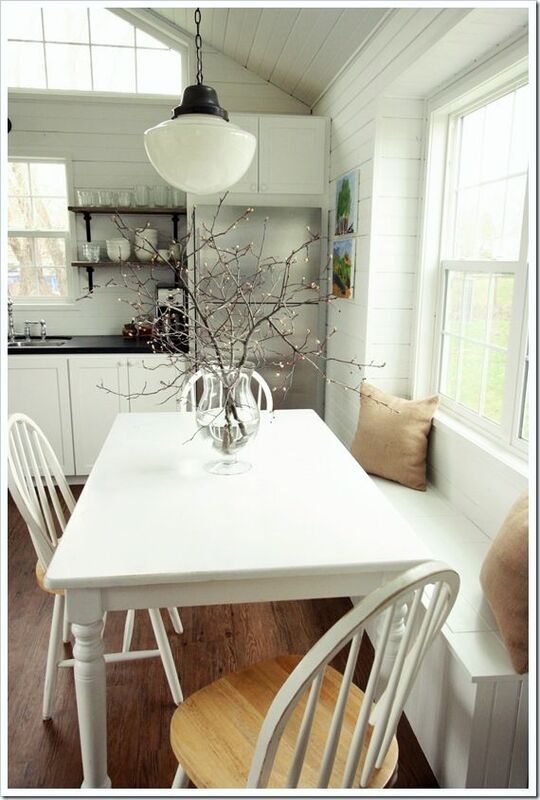 The banquet bench beneath the window provides more storage in the dining area. 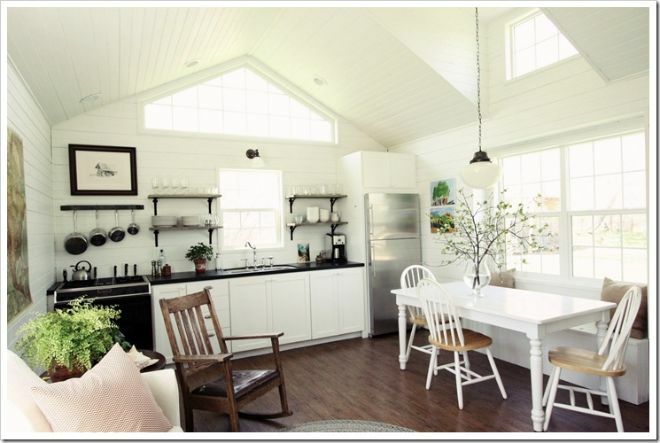 A white table and chairs blend into the white walls, creating an airy feel to the room. 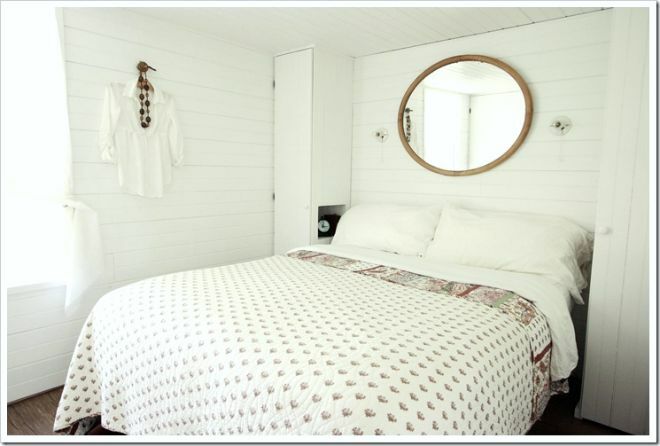 The all-white style is carried into the bedroom. A mirror above the bed reflects light and creates an illusion of a bigger room. Built-in bedside cabinets serve as wardrobes. 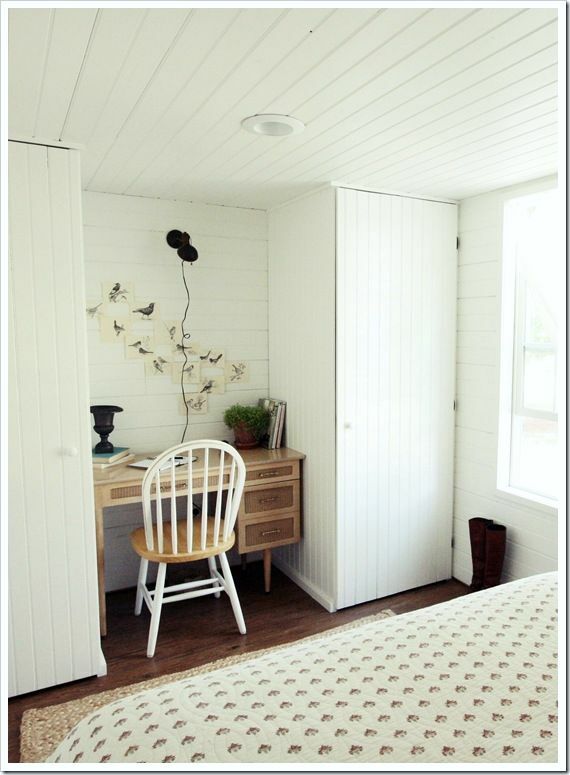 On the opposite wall of the bedroom is a writing desk and more built-in cabinets. One cabinet houses a stacking washer and dryer; the other contains storage shelves. 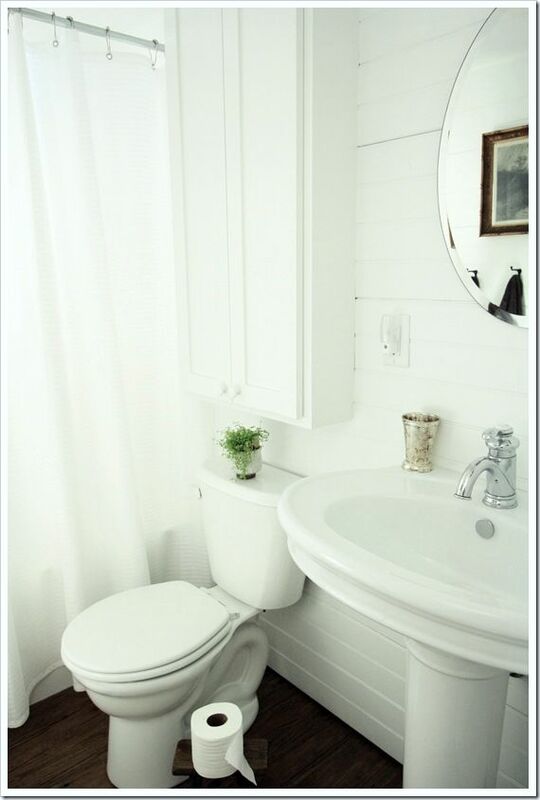 The tiny bathroom still manages to have a feeling of openness thanks to the pedestal sink, white walls and skinny storage cabinet. The upstairs loft is a dreamland for young boys. Three brothers share the space. 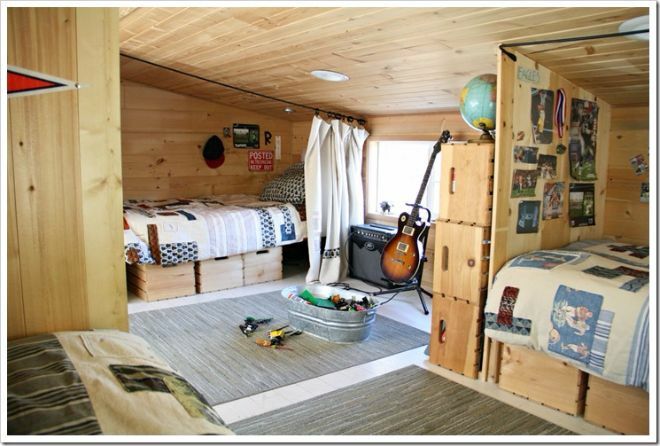 Clever built-in cabinets and crates under the beds keep all the boys' belongings organized.